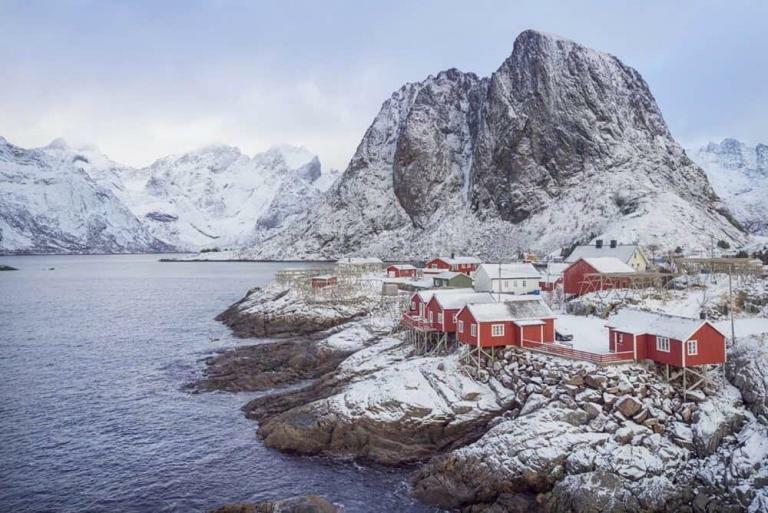 It’s a tiny coastal country that bathes in the warm Mediterranean sun year round and is home to the most luxurious hotels, stores and mega yachts. Oh and of course there’s the royal palace perched high above it all. 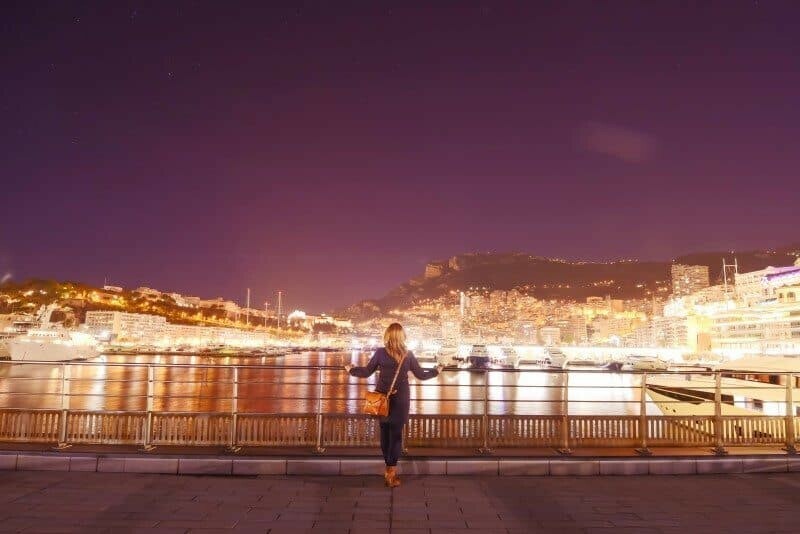 Monaco is one of the most fascinating countries I’ve visited. 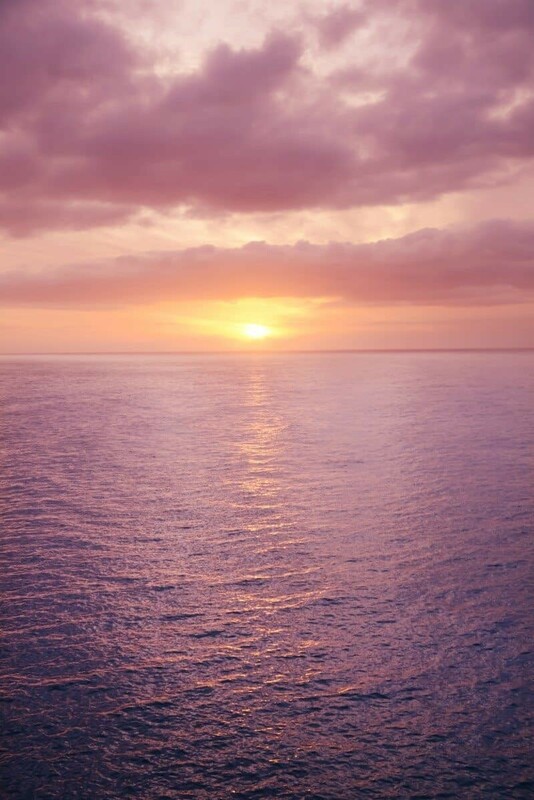 Gardens are perfectly trimmed, the sea glistens, rubbish is non-existent and there is an ever present atmosphere of elegance. 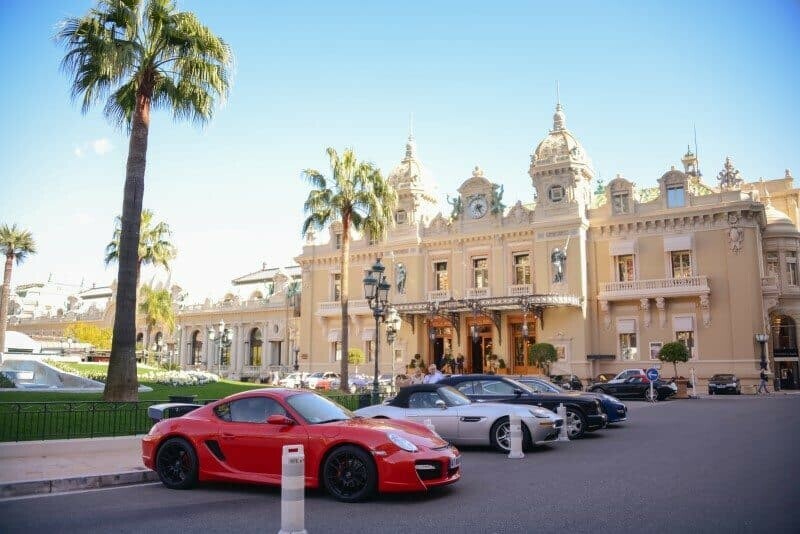 Despite being home to the uber wealthy it’s surprisingly accessible…you can stroll past yachts worth millions, park your rental car beside a Lamborghini and wander right beside the palace. 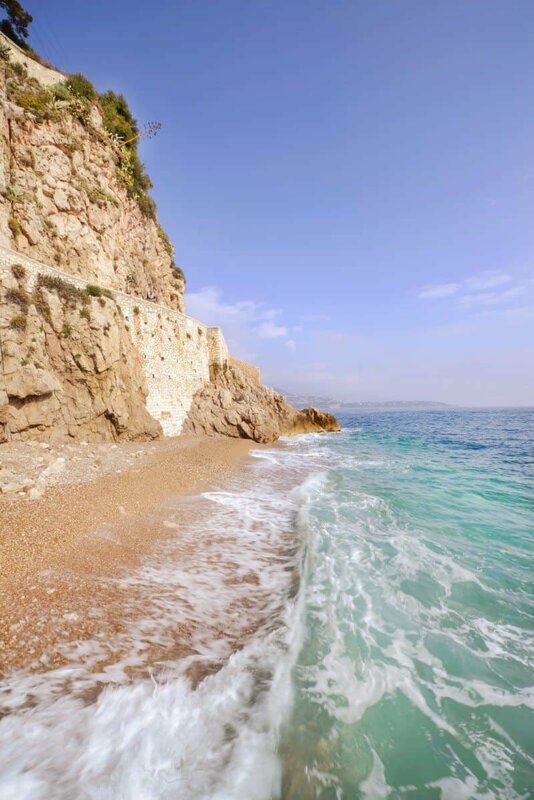 If you’re visiting the south of France, a day trip to Monaco is well worth the trip, the train or bus journey alone takes in some incredible scenery. I would however suggest spending the night because after dark it’s another world. The coach loads of tourists have left, the marina is quiet as the city lights sparkle on the water and it feels like you’re allowed to call Monte Carlo home, even if it’s just for one night. 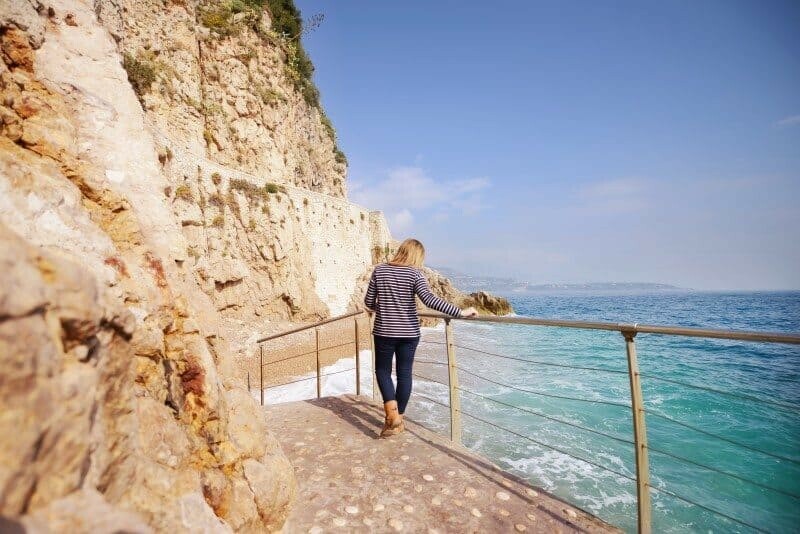 I’ve put together a list of the best photography locations in Monaco so when you visit you can follow along and find the most scenic viewpoints and beautiful places! With views over the harbour and royal palace, it would be enough to visit the gardens solely for this purpose. It’s one of the best locations to photograph Monaco however the gardens also offer so much more. 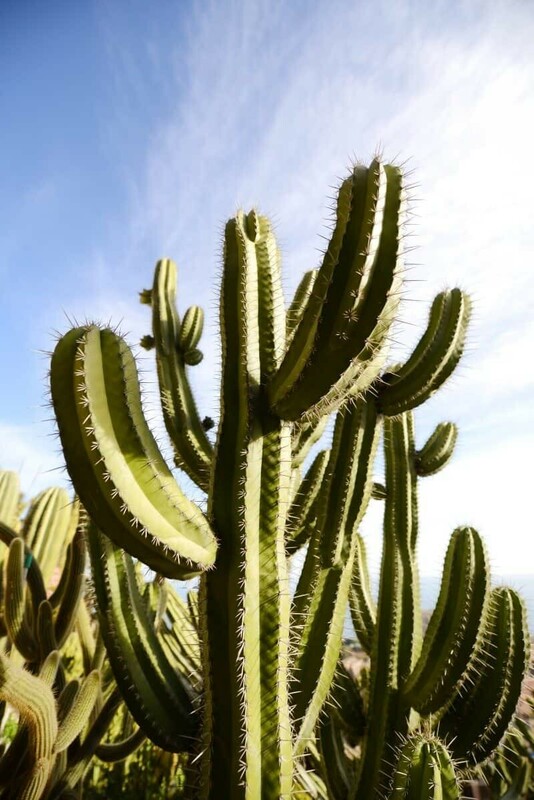 Thousands of cacti plants and succulents tumble down the cliff side and you can wander through what feels like an Eden of all things green and colourful. There are multiple photo locations around the gardens and beautifully designed viewpoints for photographers. Take a peek here at a map of the gardens. Now this one will surprise you. 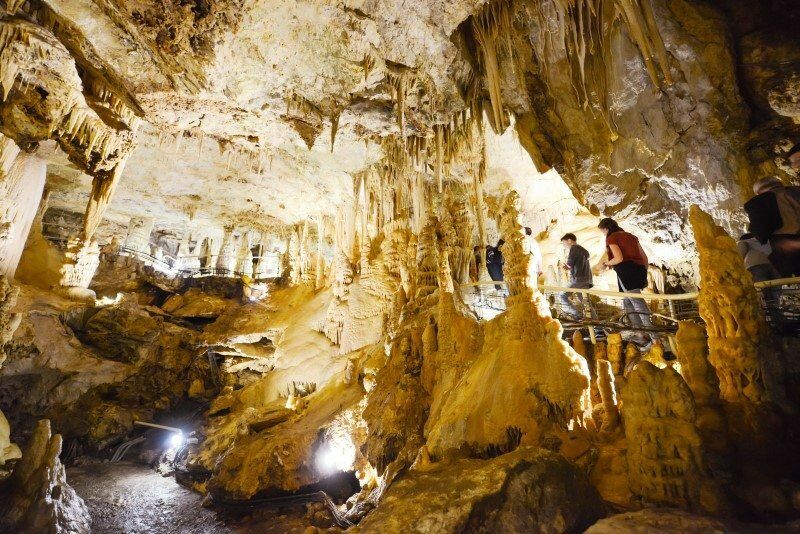 Did you know a cave existed beneath the city of Monte Carlo? 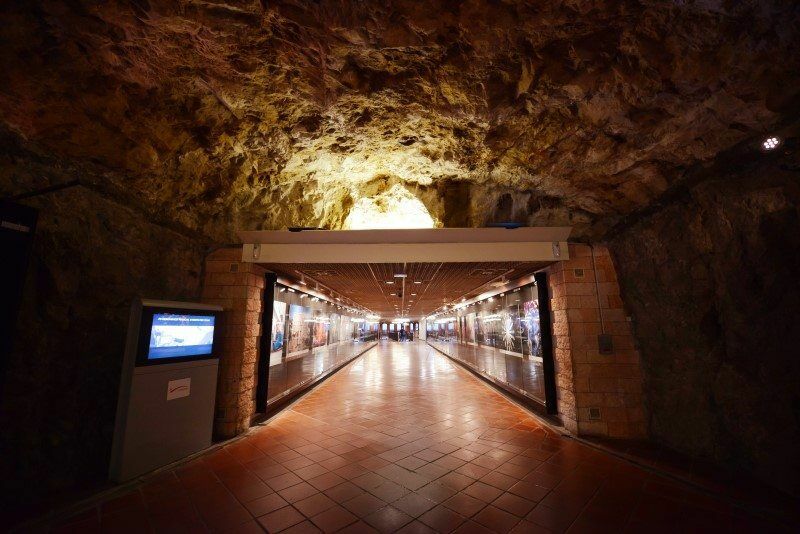 Well it does and you can walk 300 steps down into what feels like the centre of the earth. 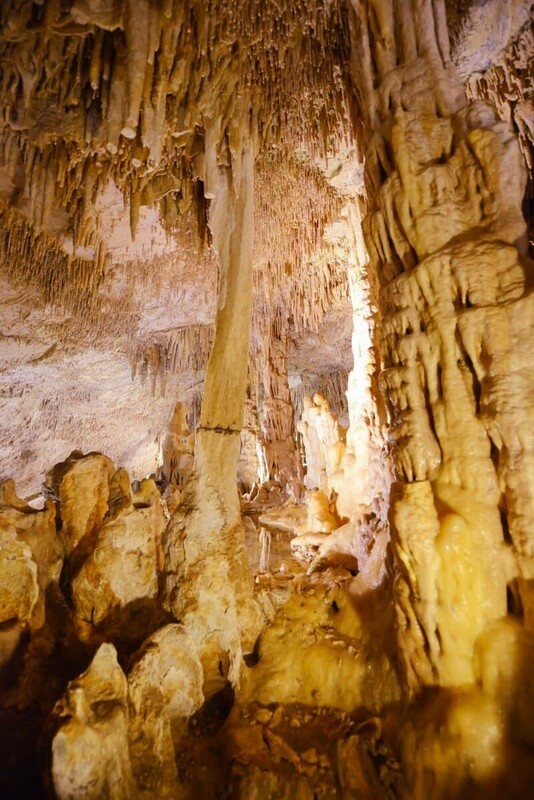 Stalactites and stalagmites created from limestone rock that’s up to 250,000 years old create an underground cathedral of wonder. 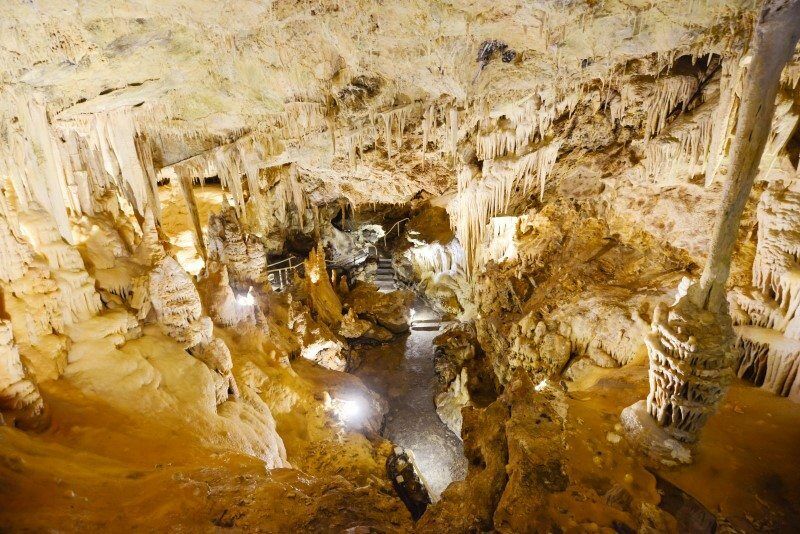 The cave entrance is found within the Exotic Garden and you’re only allowed in with a guide, tours generally leave on the hour. Be sure to take a wide-angle lens to capture it all and also if you’re not a stair person, take some water too! Forming part of a cliff that drops straight down to the Mediterranean Sea, this museum has the wow factor…and that’s just the outside. 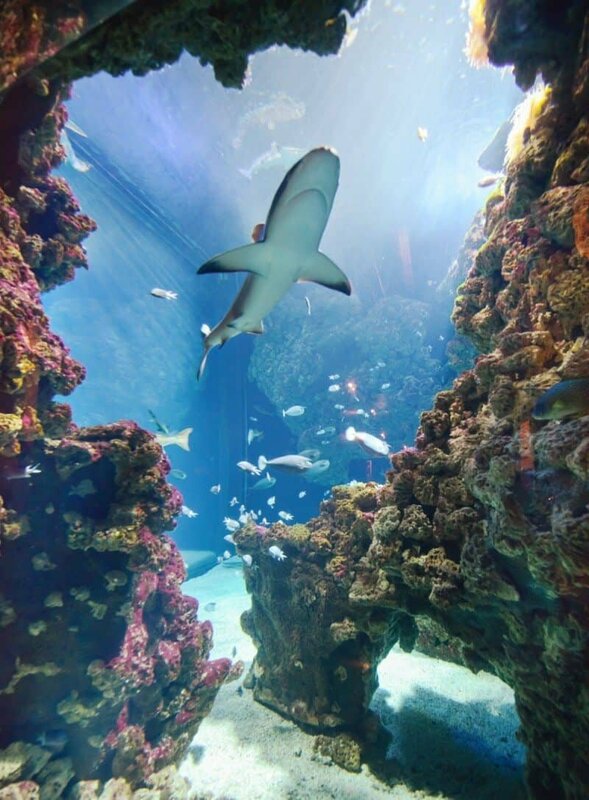 Inside is an underwater world of everything nautical and fishy. 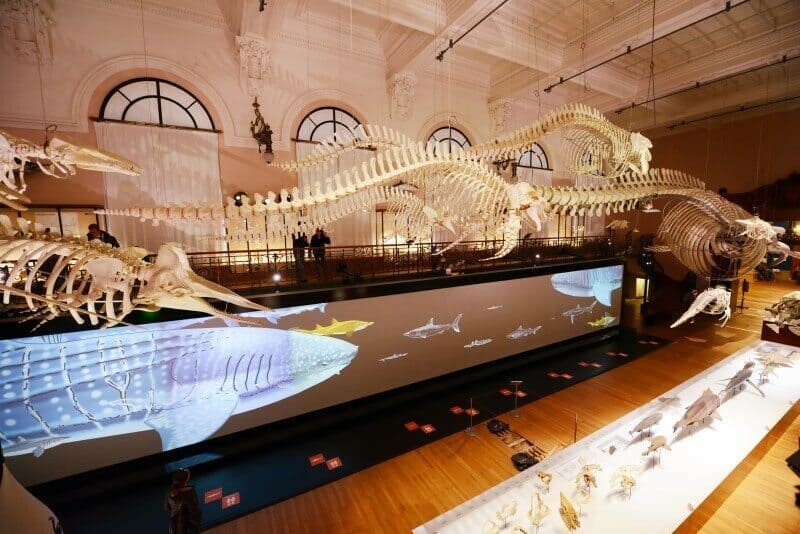 Sharks, exotic reef fish and even giant whale skeletons that fill an entire gallery are there! 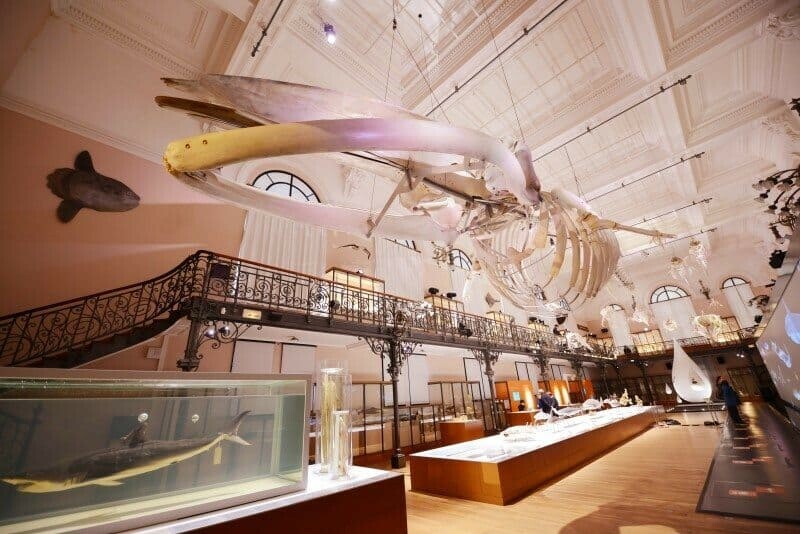 Be sure not to miss Oceanomania, the biggest collection of rare marine skeletons, fossils, diving equipment and nautical items. 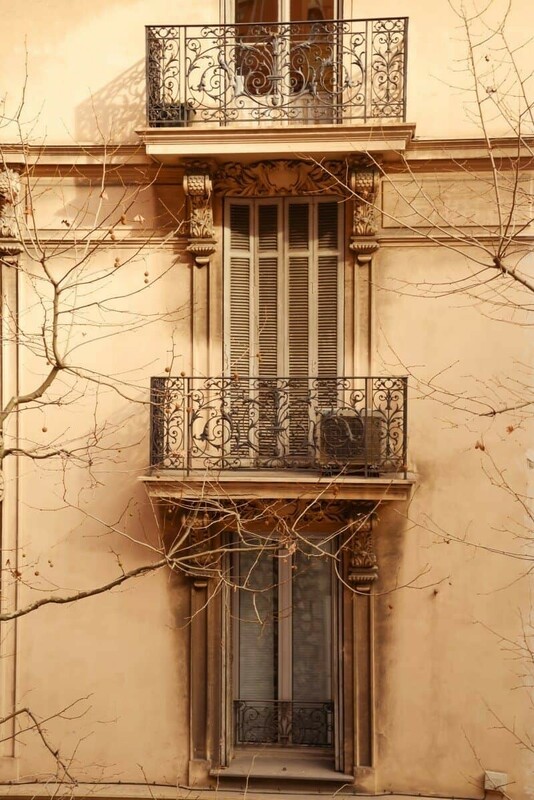 This is my favourite building in Monaco so it’s worth trying to see it from all angles; inside, from Jardin de Saint-Martin and from below (see below Digue de l’Avant Port for how to access). 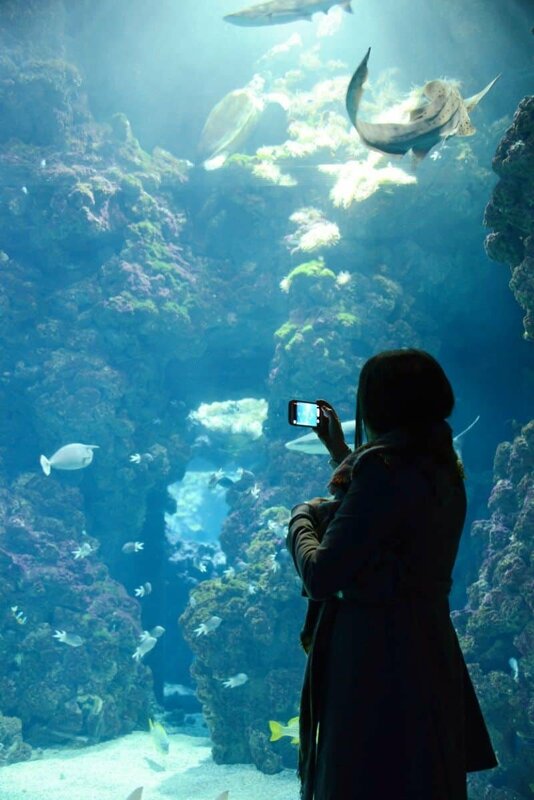 Before I mentioned you could gain access beneath the Museum of Oceanography…well this is how. 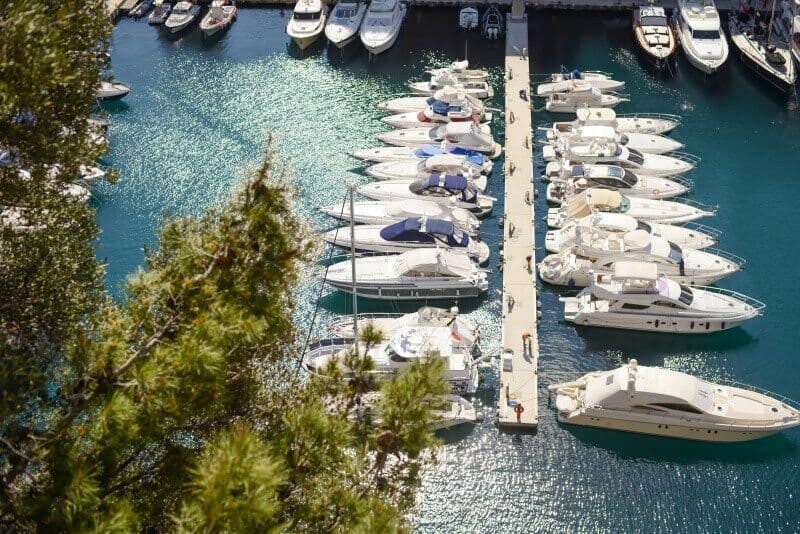 This pathway links the marina, Port Hercule to the museum and all you have to do to find it is stay by the water. 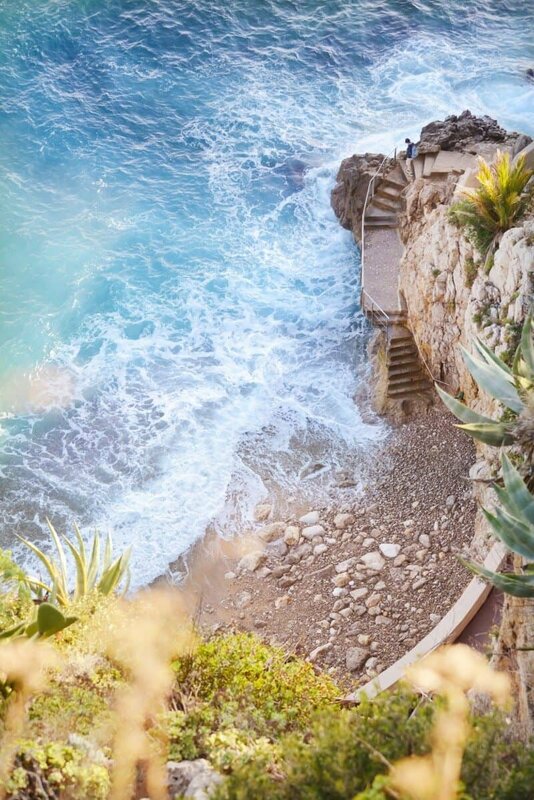 The path winds along the waters edge offering fantastic views of the Mediterranean, there’s even a hidden little beach that if you’re lucky, will have all to yourself! 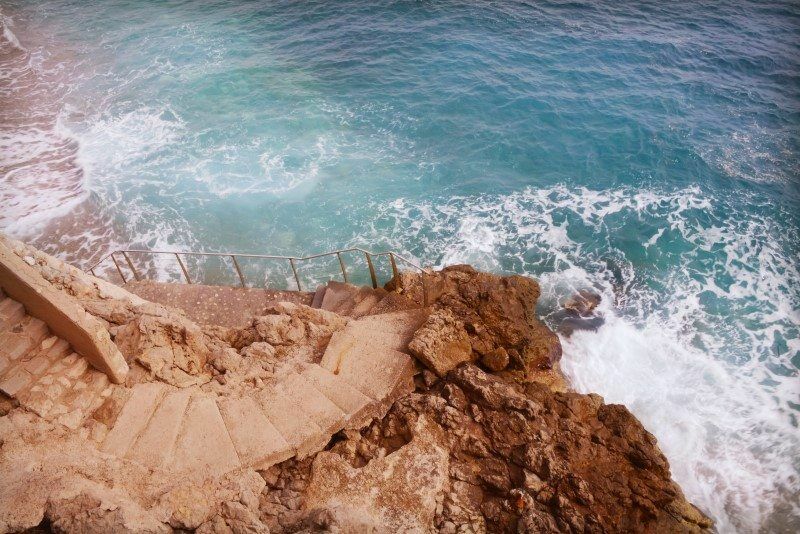 Look for a stone staircase that leads down to the rocky beach. Don’t worry if you reach the car park and think you’ve gone too far…continue along the path on the edge of the carpark and right at the very end the Museum of Oceanography will be dangling on the edge of the cliff, it’s such an impressive structure. 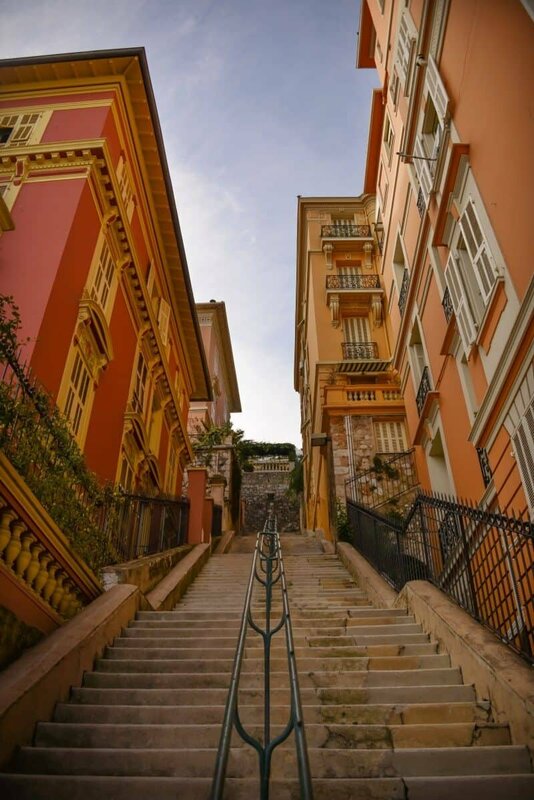 To get up to Monaco-Ville from here there is a door that will lead you to a staircase that leads you to an escalator that leads you to a lift…it ends up feeling a little like a spy mission! Just beside the museum you’ll find this gorgeous garden filled with lush flora and winding narrow paths. 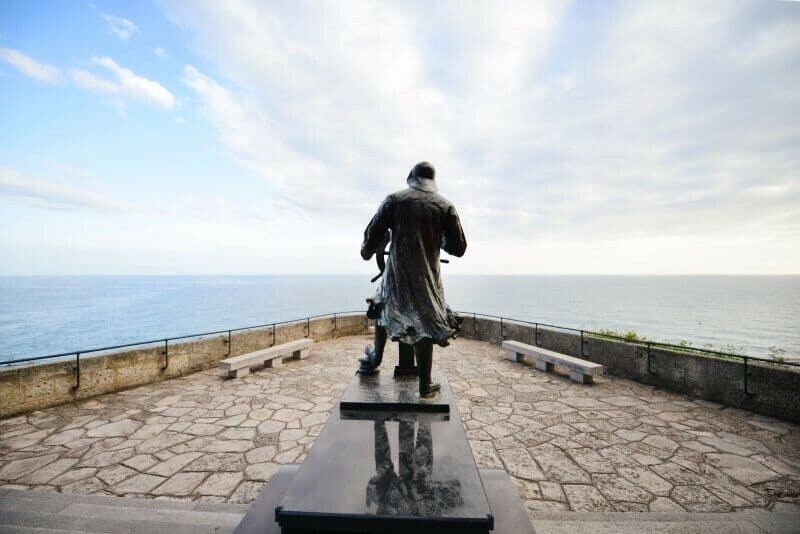 There’s a great lookout with a sailor statue which is a good spot to see the Musee Oceanographique de Monaco and just how close to the edge it really is! 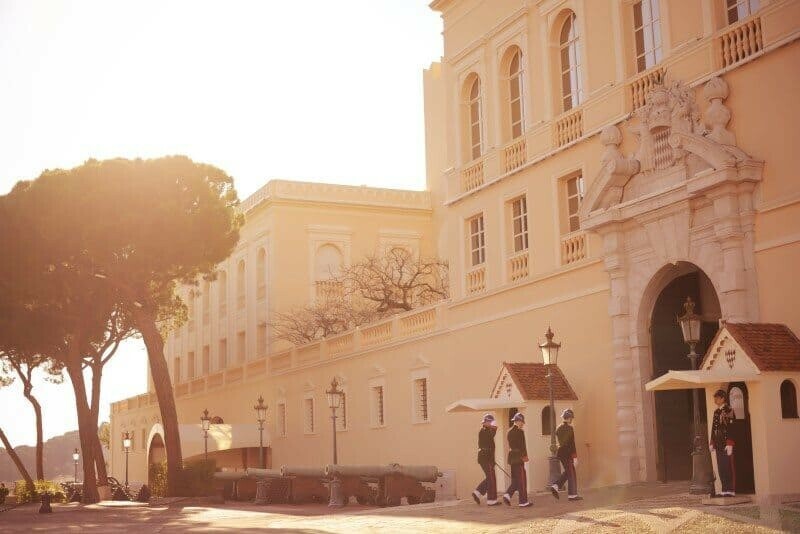 From the gardens you can also see down to the Port de Fontvielle and Stade Louis II, home to the Monaco football team. 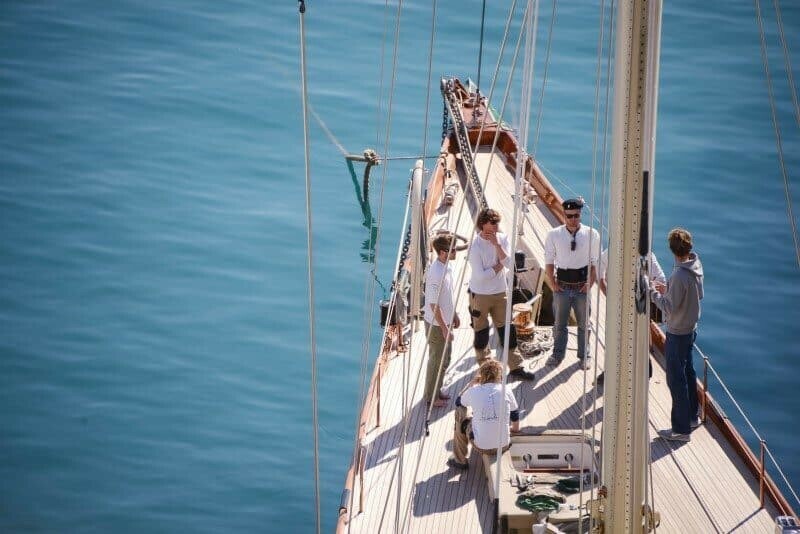 If you’re visiting Monaco to live a little like James Bond, this is the place to do it. Even if you’re just keen for a peek into that world you can stand at the fountain and watch as people arrive in fancy cars and enter looking fabulous. There are of course no photos allowed inside so it’s best to snap away outside but don’t be too obvious about it, no one here likes paparazzi and there are loads of security cameras! You can use the fountains as a creative way to capture the exterior and be sure to also venture around the back of the casino where there are gardens and a lookout over the port. 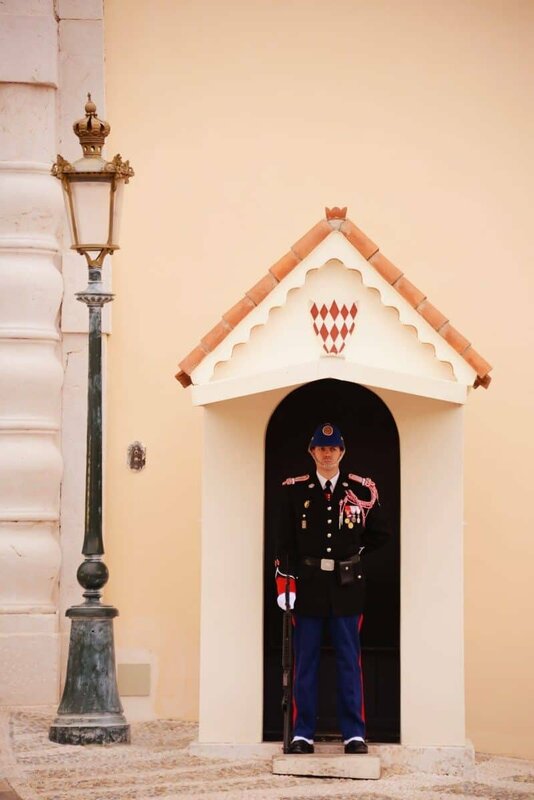 Be sure to time your visit for the changing of the guard spectacle at 11:55am daily or if you want to avoid the crowds you can visit close to sun down and you’ll find a sometimes smaller procession of 3-4 guards. From April-June and in September and October you can take a visit inside the palace also! This might be my favourite discovery apart from the caves…you can pay 2euro for a trip across Port Hercule to get a unique viewpoint and snap some photos from the water! 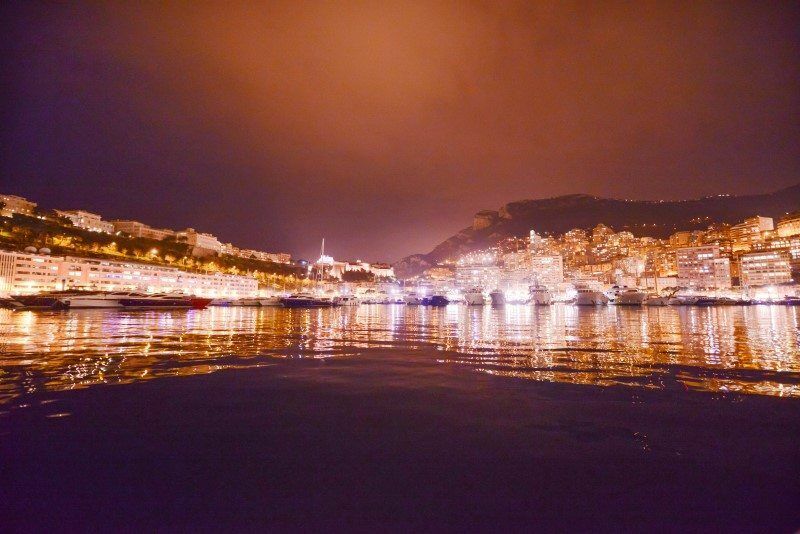 It’s a small boat, you can sit outside with your camera and capture some images looking back toward Monte Carlo..at night you may even get a private cruise! The crossing only takes 3-5 minutes depending on water traffic but it’s a fun way to cross the harbour without spending a fortune. 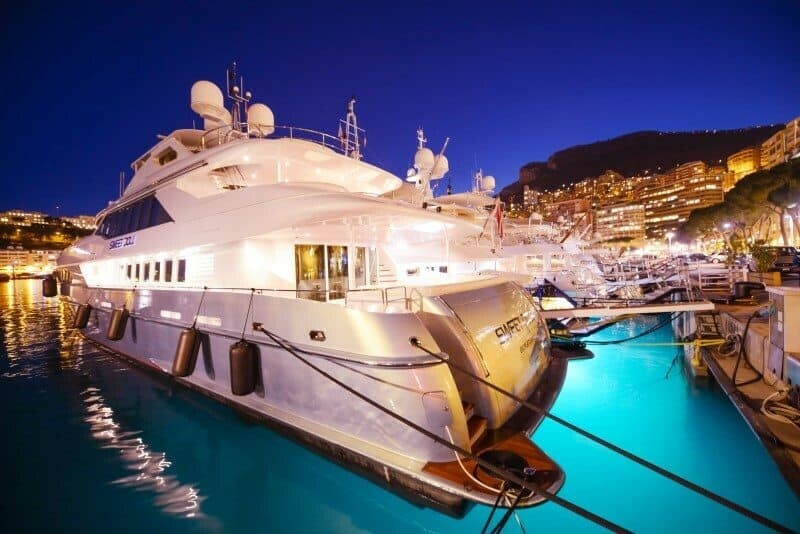 I highly suggest taking a trip in the day and then again in the evening as the lights come on and you float quietly amongst the mega yachts. 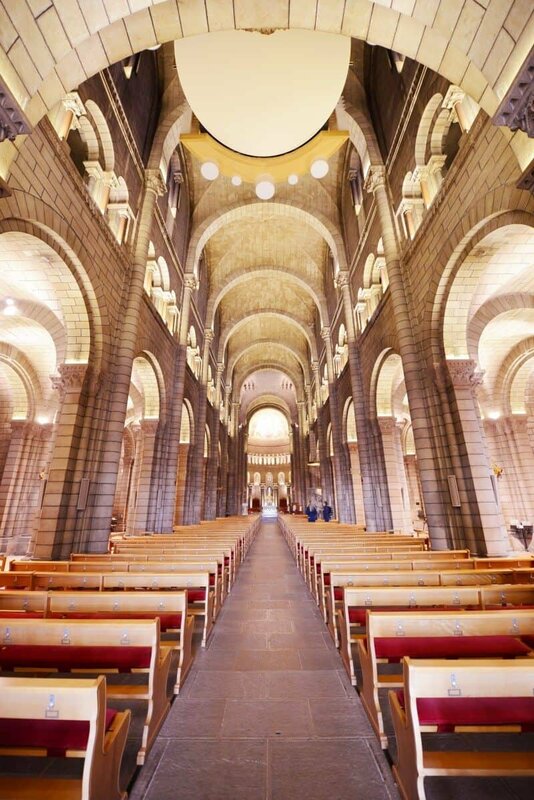 Located in Monaco-Ville close to the Palais des Princes, this stunning cathedral boasts a beautiful grand arched interior. 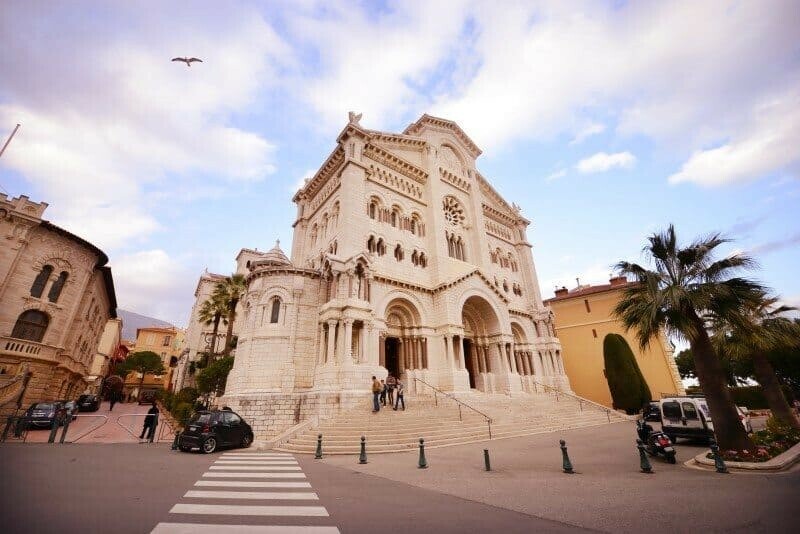 It’s the burial place of both Prince Rainier and Princess Grace and every Sunday you can attend mass at 10am and hear the “Les Petits Chanteurs de Monaco” sing. 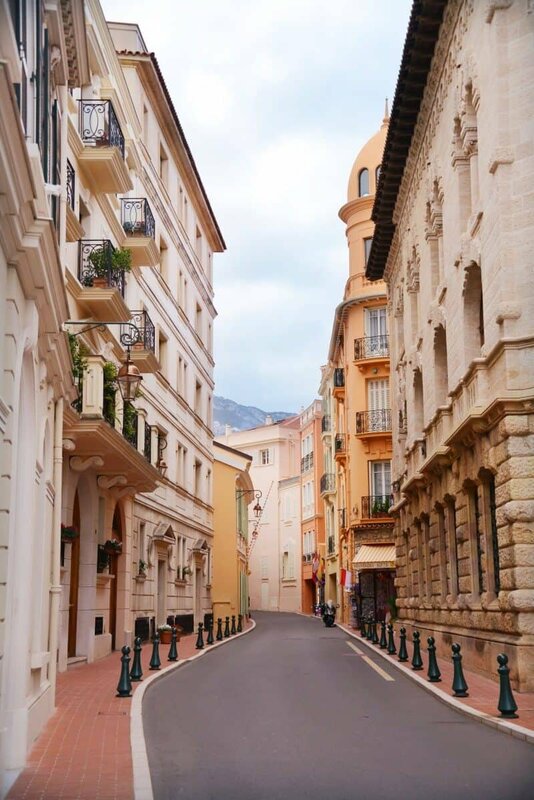 This streets winds along the edges of Monaco-Ville and offers a great perspective over Monte Carlo and Port Hercule. Right beside the palace you’ll find a popular lookout but venture a long a little further for an even better view without the crowds! Also be sure to look on the other side of the street too…the colourful building facades make for a beautiful image too! 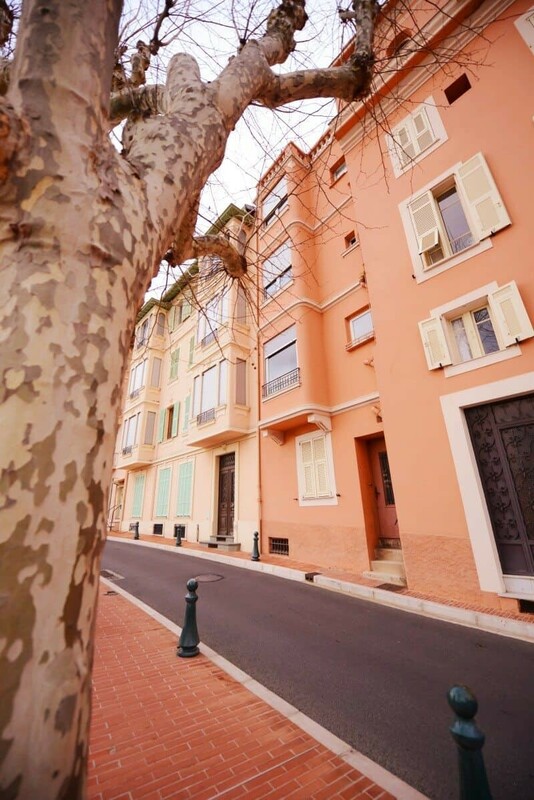 For unbeatable views of Monte Carlo stroll along the port all the way east to Jetée Lucciana. It’s an uncrowded pier that looks back toward the city and wow is it a sight to see. Looking west you’ll have the brand new Monaco Yacht Club on your right, a row of giant yachts in front and to the left is Monaco-Ville and the Palais des Princes sitting pretty on the Rock of Monaco surrounded by the Grimaldi Fort. A section of Monaco that most tourists miss, it’s a more residential area that’s hidden around the corner from the port and has a big sandy beach. 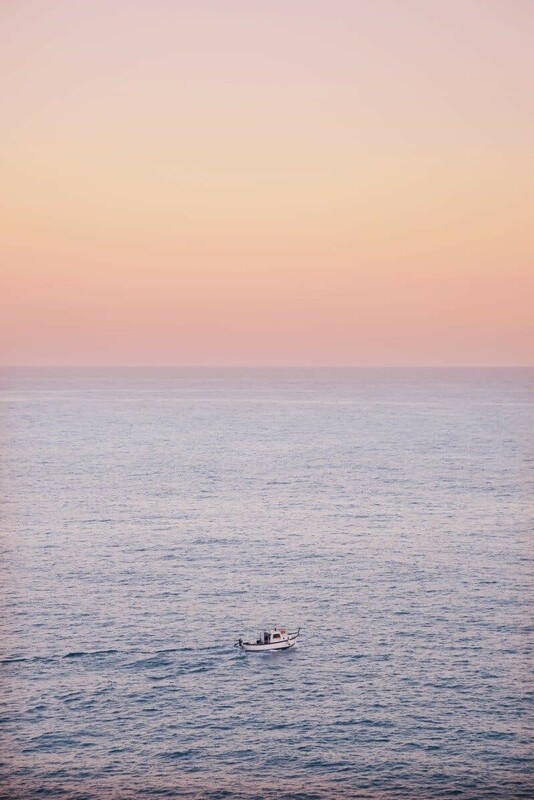 If you’re visiting the casino or port it’s just a short 15minute walk along the coast and you can dip your feet in the clear sea or take some creative photos from the water! 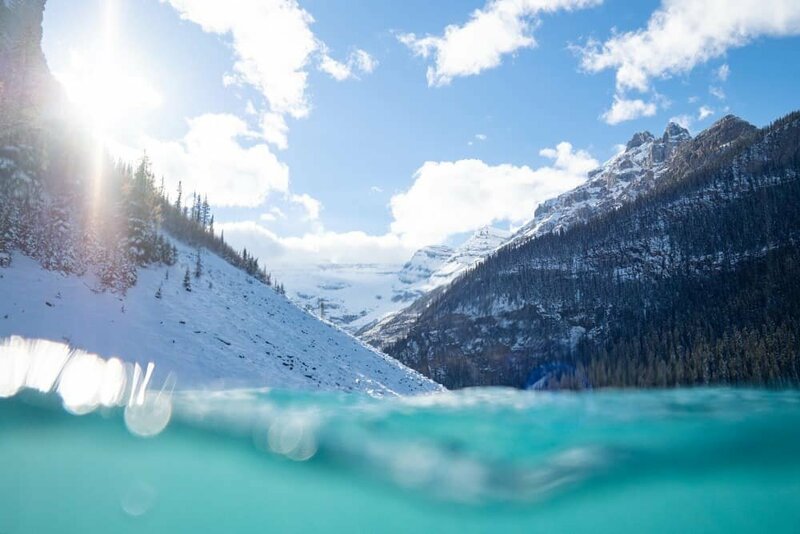 In summer there are water sports on offer and lots of activity but in winter you might find it’s just you and the locals who enjoy a dip in the chilly water. No visit to Monaco is complete without a walk along the shores of Port Hercule. 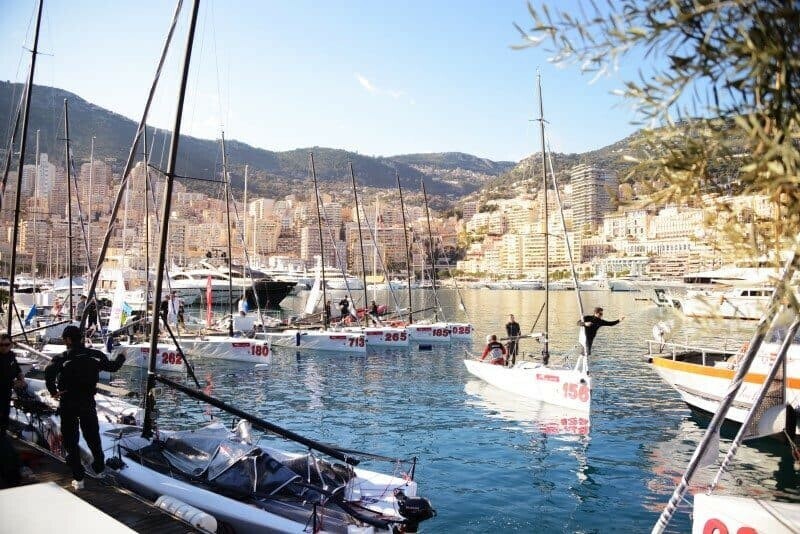 Home to some of the most expensive yachts to sail the seven seas, this port is where glitz meets glam and it’s all on show. 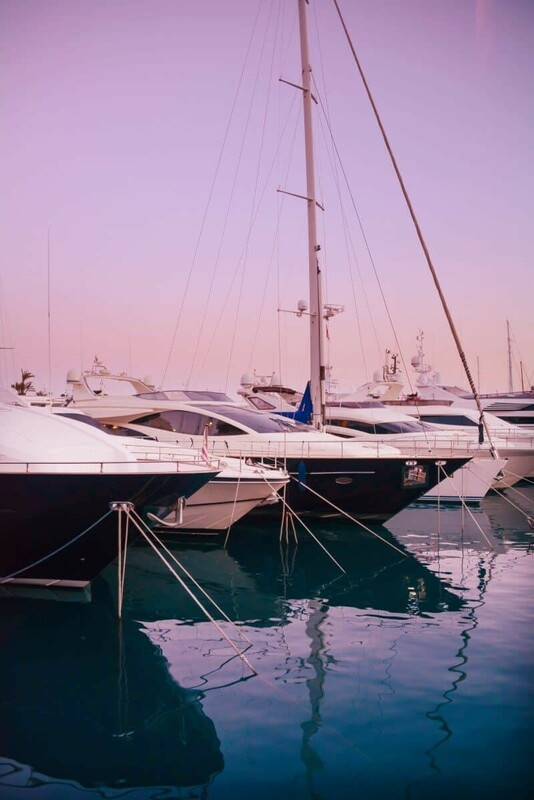 It can be fun to see just what’s on some of the yachts, with matching cars, jet skis, baby boats and more all a possibility. At night it can be great to shoot long exposures of the boats reflecting their lights into the water and some of the yachts have giant neon lamps below the surface too which turns the water aqua blue. 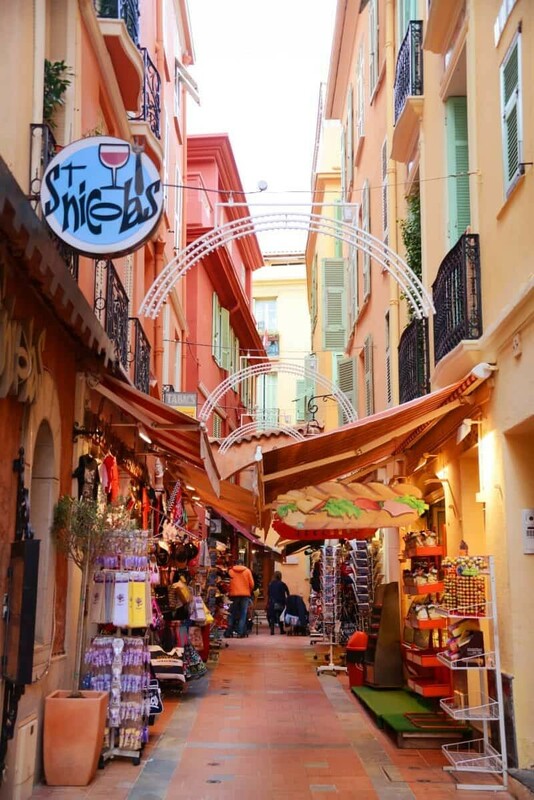 Wandering through the quaint streets on top of the Rock of Monaco is a way to experience the old town of Monaco. While it can be very touristy near the palace during the day, if you can find a quieter street it’s a great chance to take some colourful images. 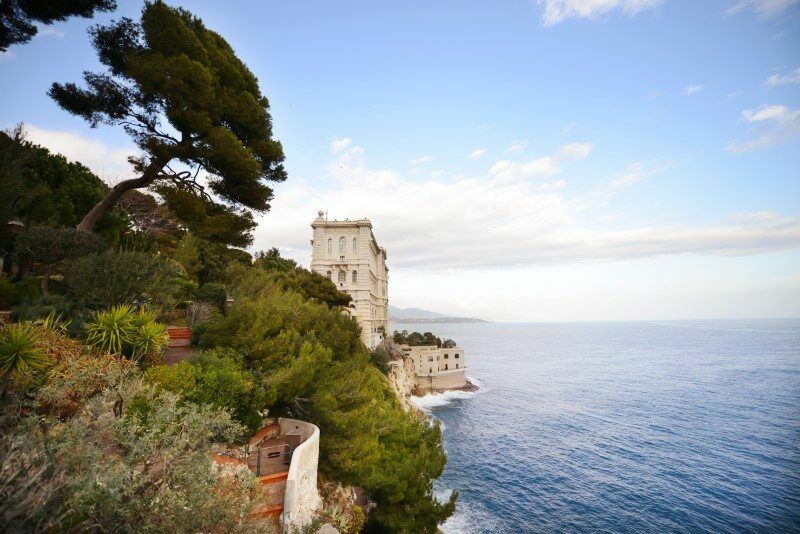 At the eastern point you’ll find Fort Antoine which again has panoramic views over the port and city of Monte Carlo. 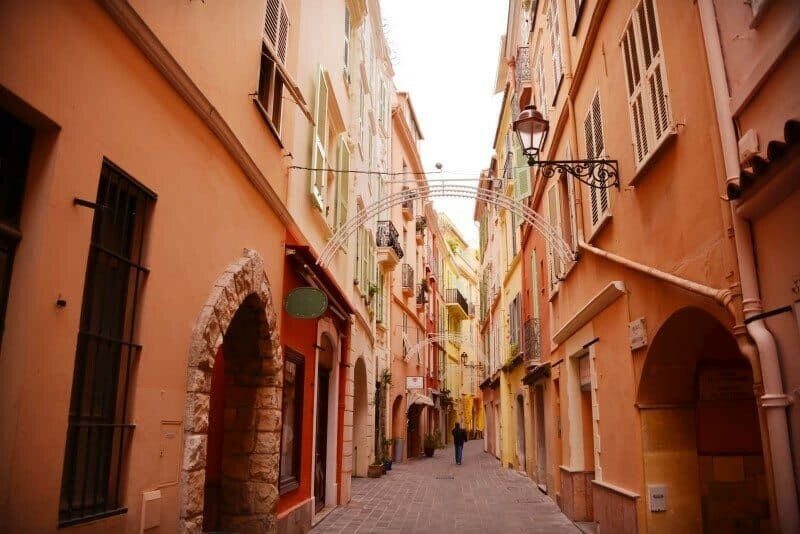 Wandering through the quaint streets of Monaco-Ville is a way to experience the old town of Monaco. 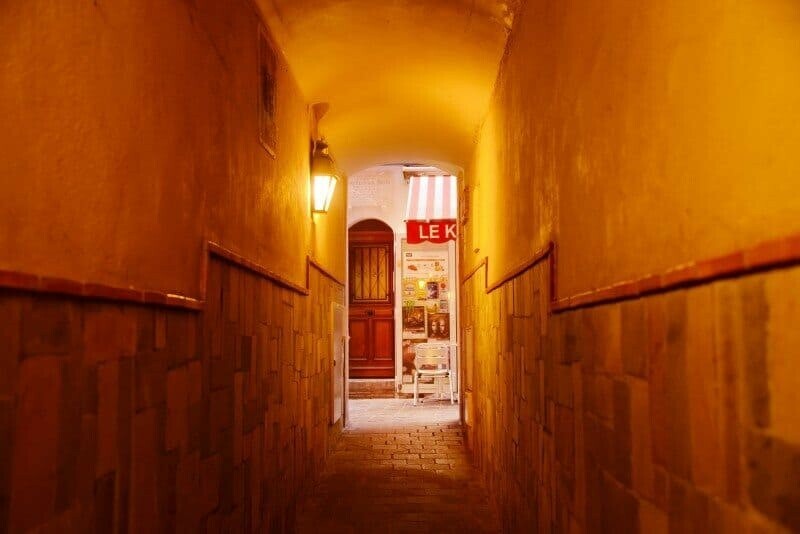 It’s located on the Rock of Monaco and while it can be very touristy near the palace during the day, if you can find a quieter street it’s a great chance to take some colourful images. 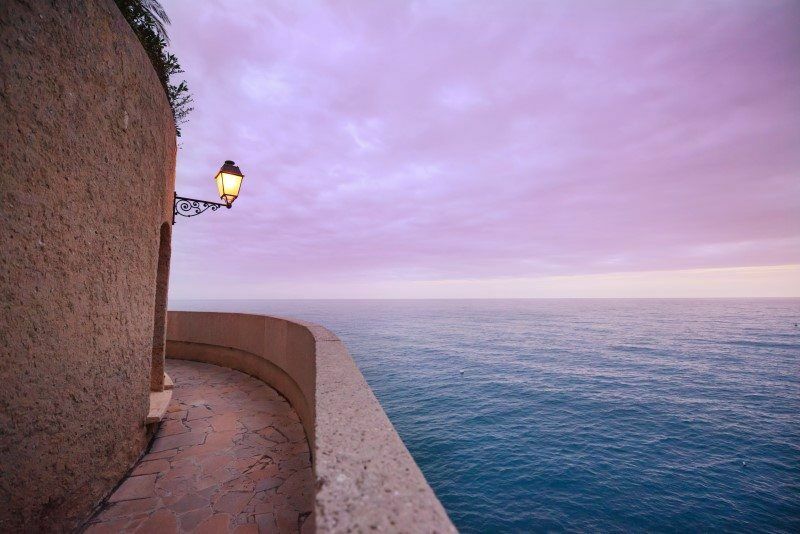 At the eastern point you’ll find Fort Antoine which again has panoramic views over the port and city of Monte Carlo. 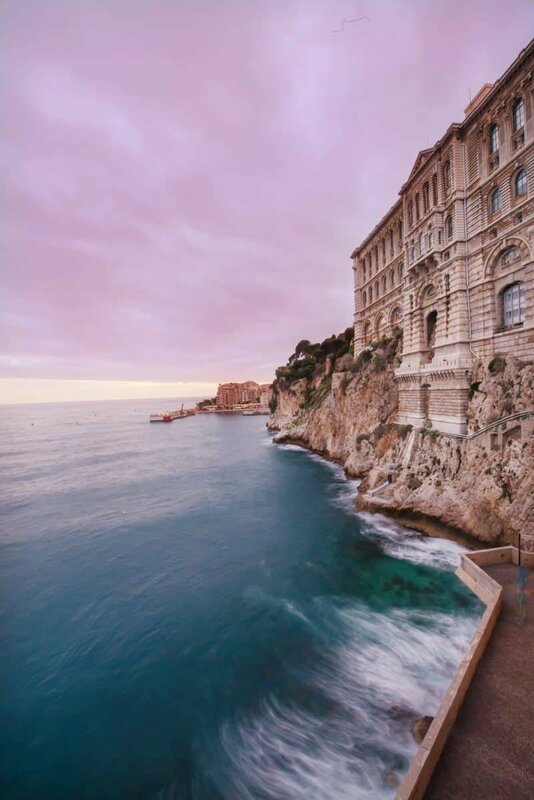 Monaco has the glistening waters of the Mediterranean visible from almost every corner of the country. 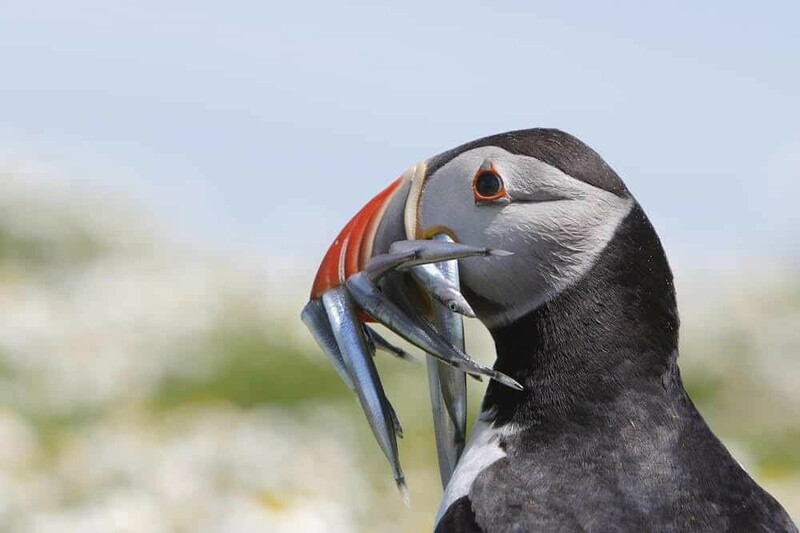 Views out to sea are possible from most vantage points and there’s always activity to photograph. 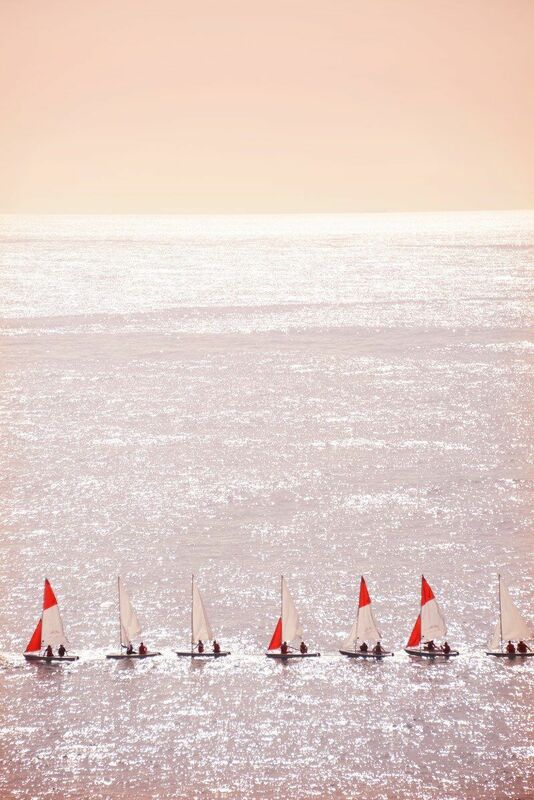 Whether it’s a cruise ship arriving at sunrise, sailing school or yachts heading out for the day. 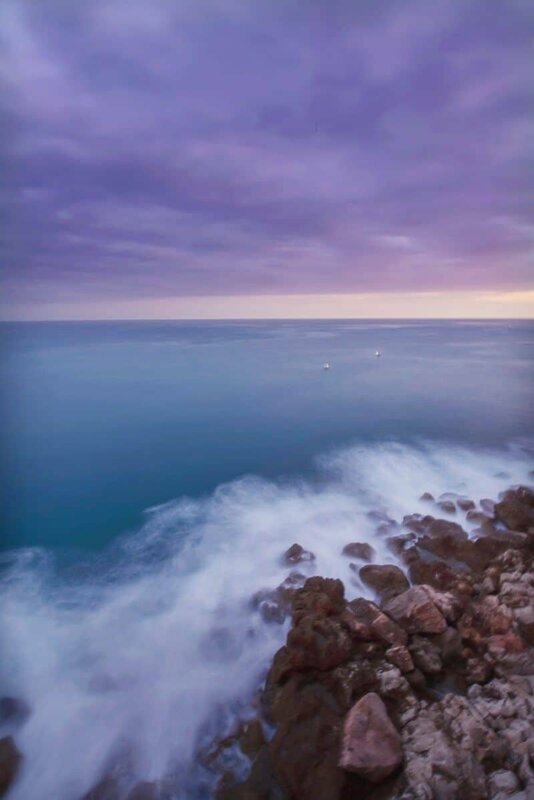 Being so close to the sea also provides plenty of opportunities for long exposure shots of the gentle waves along the rocky coastline. 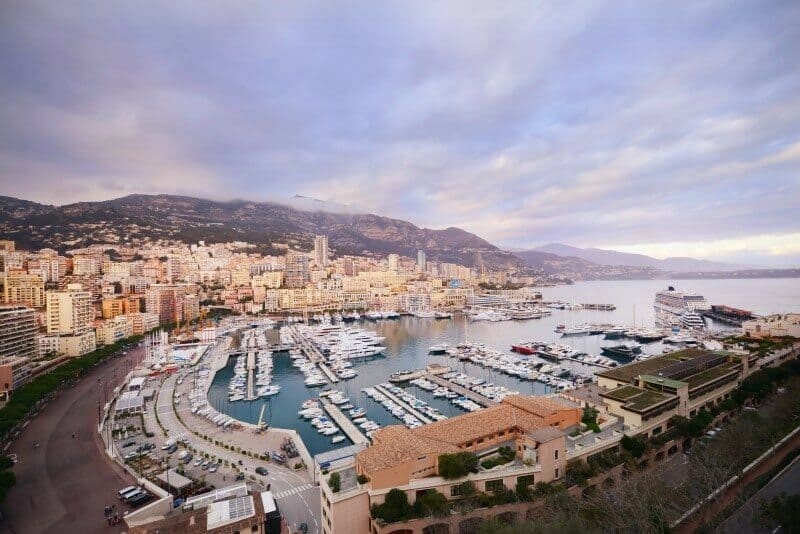 Where to stay in Monaco? 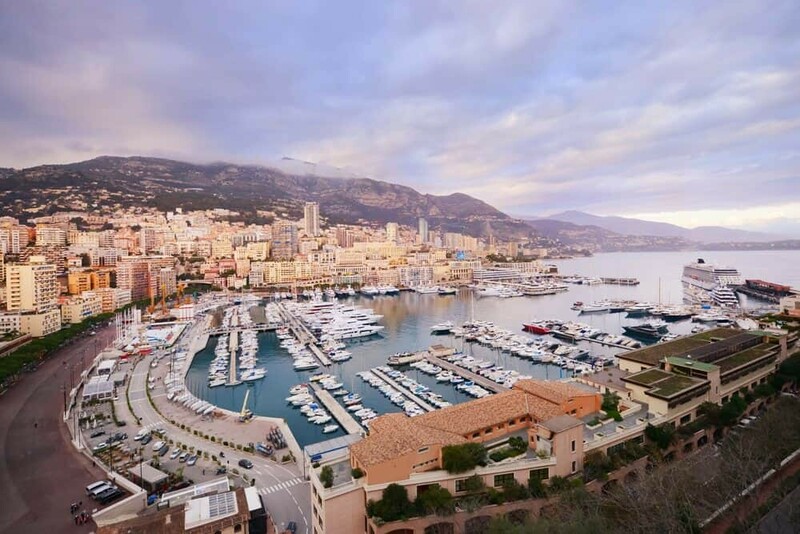 Depending on your budget there’s plenty of places to stay in Monaco. From the super luxe and extremely elegant hotels visited regularly by the world’s elite personalities, through to hotel chains like Ibis and Novotel that are easily recognisable and always guarantee a comfy nights sleep. 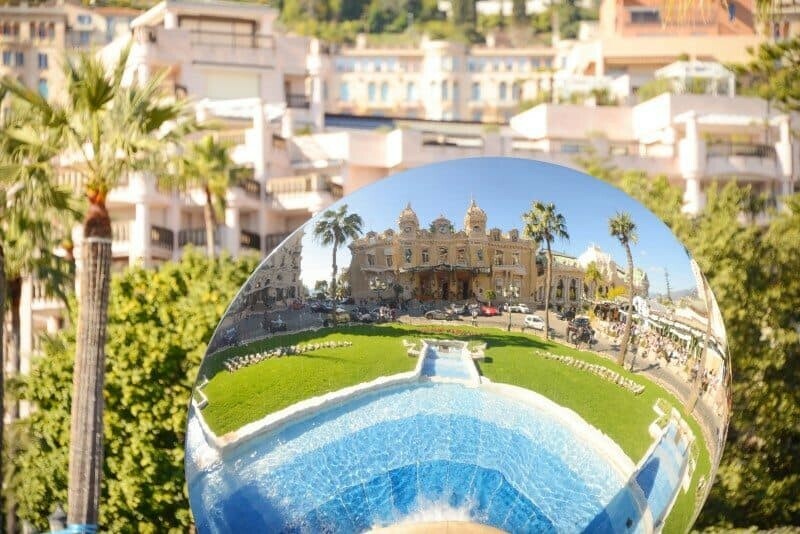 Fairmont Monte Carlo – wake up to sunrise views over the Mediterranean, watch as yachts sail by or if you time it right, as the Forumla One’s race around in front of the hotels lobby. 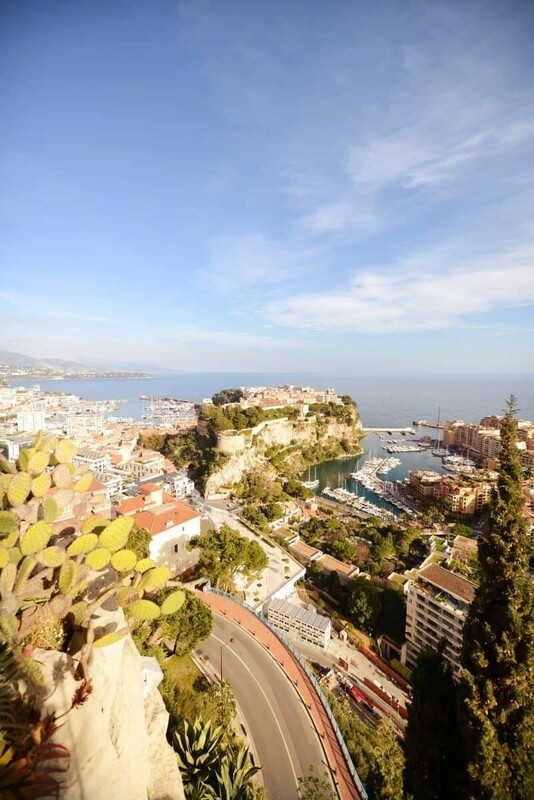 A fabulous roof top pool has views over the sea and city, plus it’s just a short walk to Port Hercule and centre of Monaco. 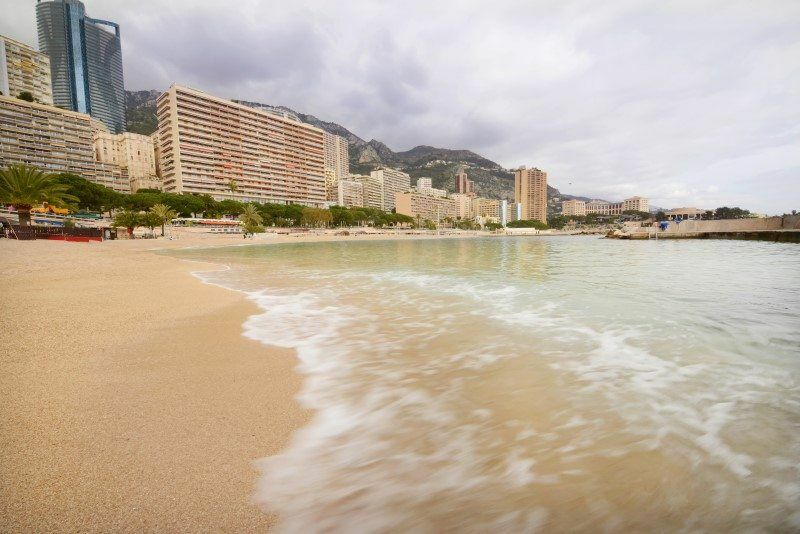 Novotel Monte Carlo – if you’re just in Monaco for a short stay, this hotel guarantees a good nights rest in a reputable chain. Views from the rooms look over Port Hercule to Monaco-ville, some even have views of the palace! Also there’s a VERY good breakfast buffet here for a 1/4 of the price you’ll pay at other hotels. 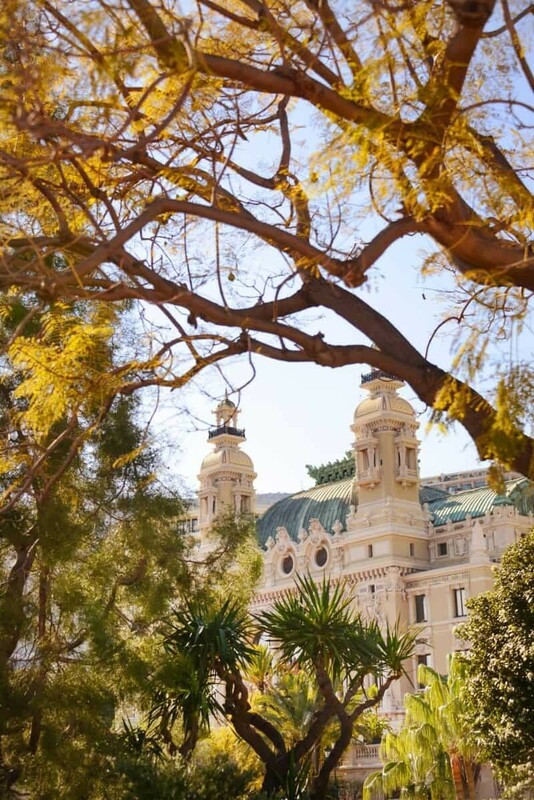 Hotel Hermitage Monte Carlo – one of the most glamorous hotels in Monaco, Hotel Hermitage is housed within a Belle Époque building, features stunning views over Port Hercule and Monaco-ville, has a Michelin starred restaurant and is located right beside the Monte Carlo Casino. Or if you’ve got a special spot I haven’t mentioned let us all know in the comments below! 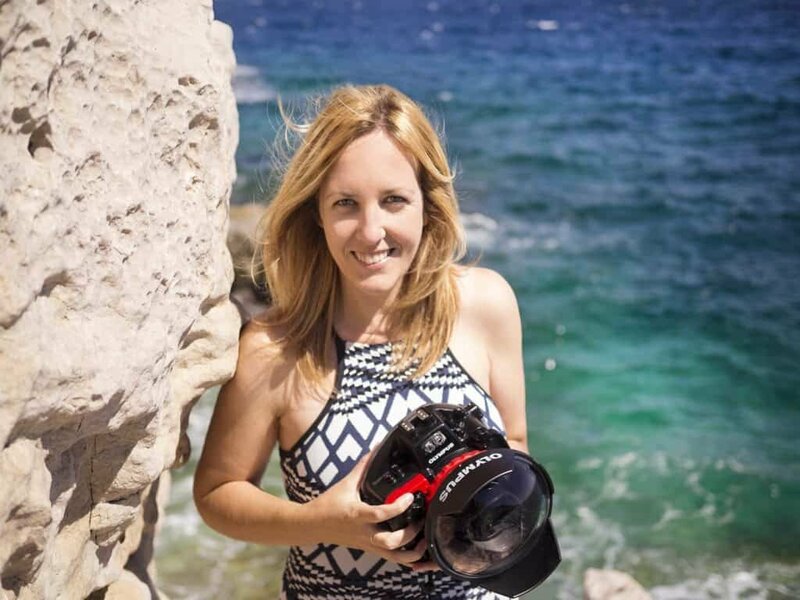 What is your favourite camera to take when you travel? Hi Neil, I always have my Nikon D800 with me 🙂 You can have a read about what other gear I take with me in my post ‘What’s in my Bag‘. Ah Monaco!! I dream of staying here for a weekend and getting glammed up! I can’t believe I missed that beautiful beach under the museum! I definitely have to go back and explore more next time! 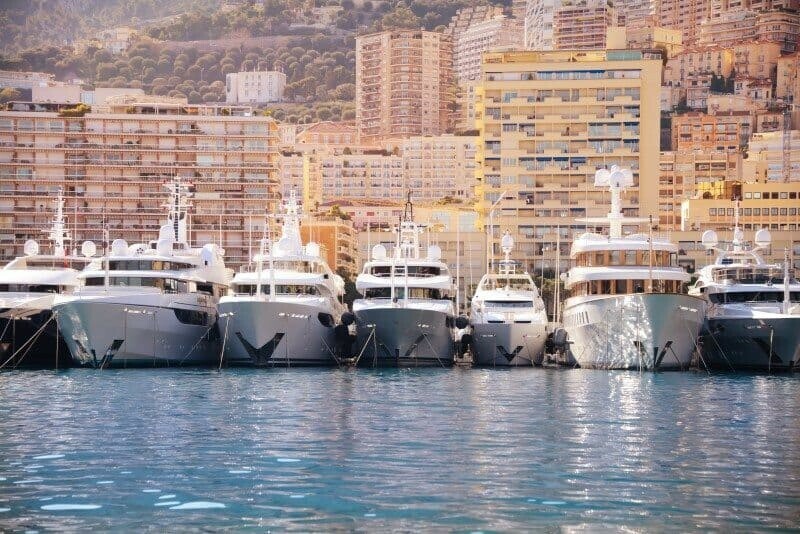 Monaco is our of our favourite places to visit. Thanks for this post! These are wonderful pictures, I will be visiting in september and was just wondering what is a good spot to see the Rock of Monaco from? Thanks so much! 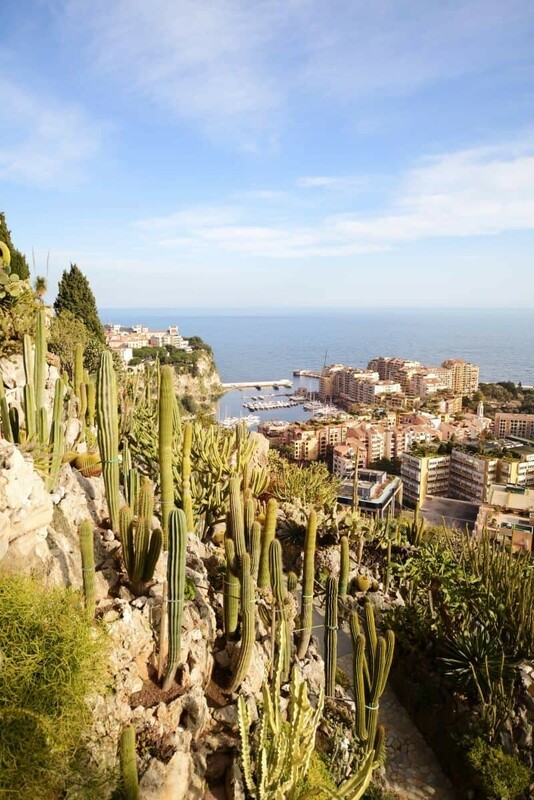 September is a great time to visit Monaco, the best vantage point I’ve found is from the Exotic Gardens which overlook the Rock of Monaco 🙂 Have a great trip! 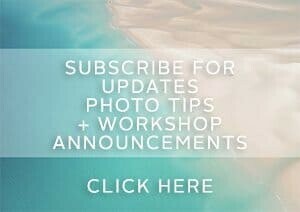 Hi Lisa, I was so taken with your images and this blog post that I just had to comment! 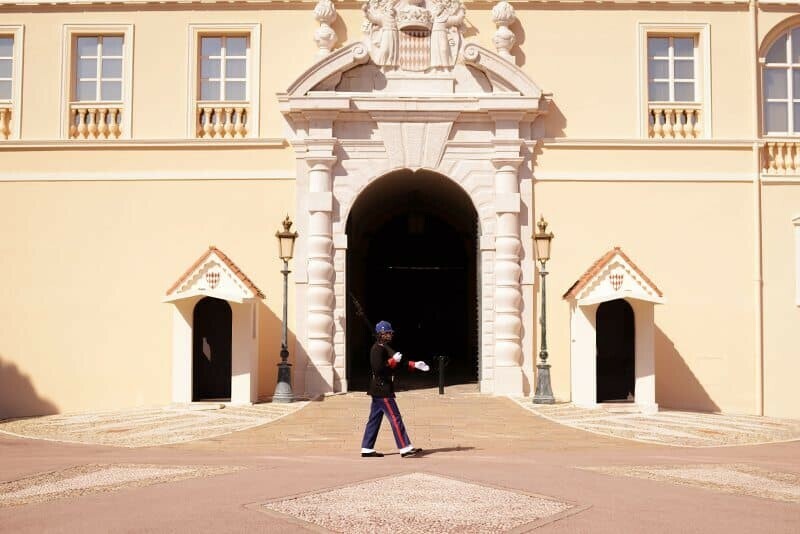 It’s the best article I’ve seen on Monaco and its sights, so thank you so much for creating it! 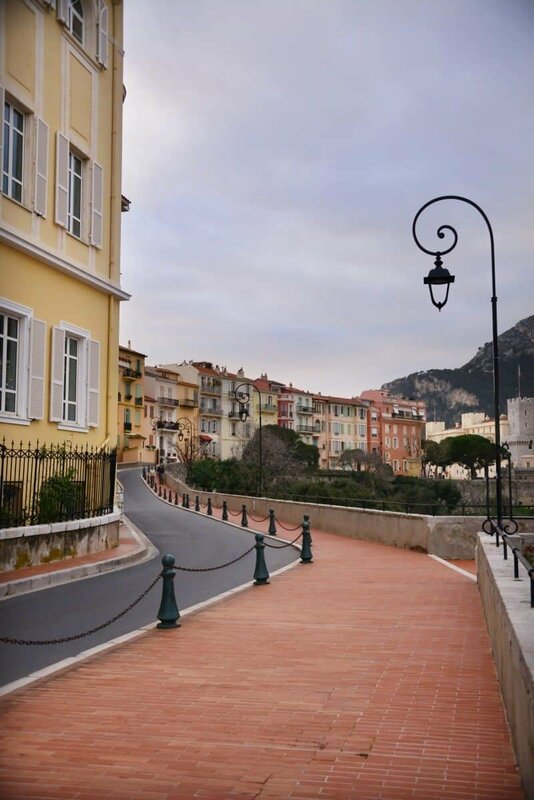 I am heading to Monaco tomorrow for a couple of days and would LOVE to find your secret pathway from Port Hercules to Oceanographic Museum. Do you have any more specific directions? (I couldn’t find it on Google Maps). 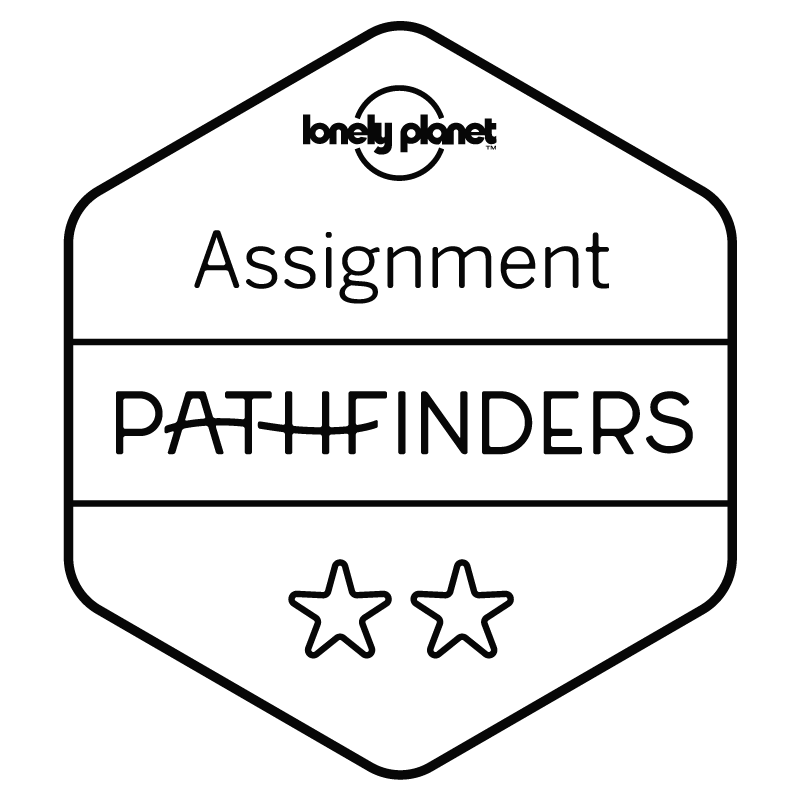 Thanks so much for reading this, for any advice or tips you may have and for sharing this! I might be a little late in getting back to you, did you manage to find the pathway okay? 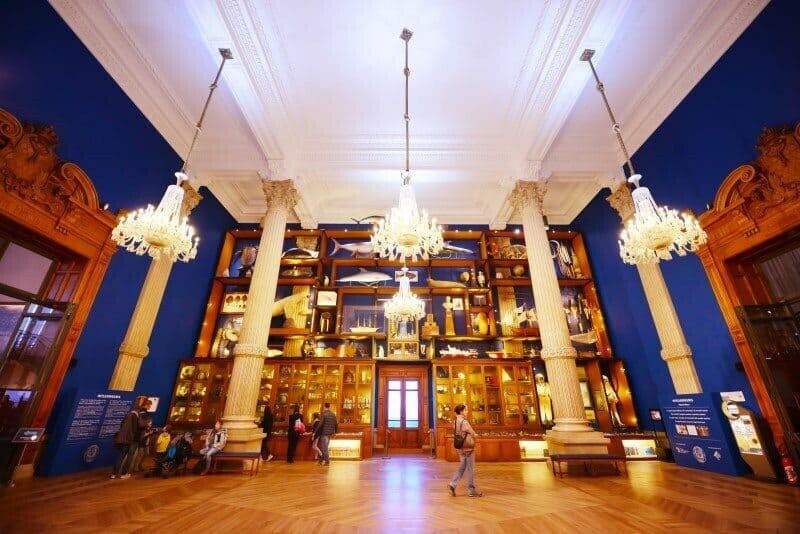 If you’re still in town, it’s easiest to access it the first time from the lift beside the Oceanographic Museum. Take it down to the carpark and then keep an eye out for a door way on the right side leading out to the side of the building. Then follow this around the car park and eventually the path will venture past the beaches etc. Love your photos. As a tennis fan myself, I am surprised you didn’t have one of courts at the country club that looks out on the sea. If I ever get there it’s the first place I am going! If you haven’t been there try. I have seen it on TV and it is impressive.